The New MacBook is housed in an all-metal enclosure, and is now available in three colors: silver, gold and space gray—to match your iPhone 6 or 6 Plus. 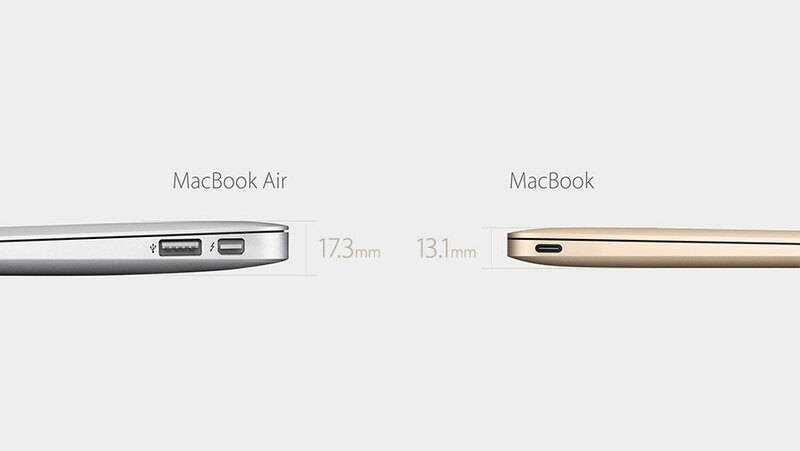 At only 13.1mm thick, and just 2 pounds. The New MacBook required a re-engineered keyboard, employing a new butterfly mechanism to achieve a 40% thinner design. Each key has its own LED backlight, bringing an even, uniform glow. 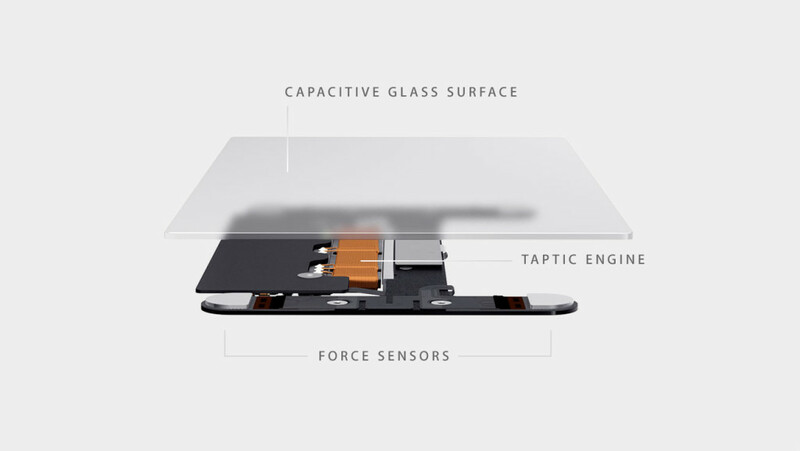 It also features a new, pressure-sensitive Force Touch trackpad, with an integrated Taptic Engine, allowing for tactile feedback, so you can feel your clicks as you make them. It’s also inherently able to discern deep presses from light ones, and you can adjust the sensitivity in System Preferences. Force click a word to bring up its Wikipedia entry. Force click an address to bring up its location on a map. 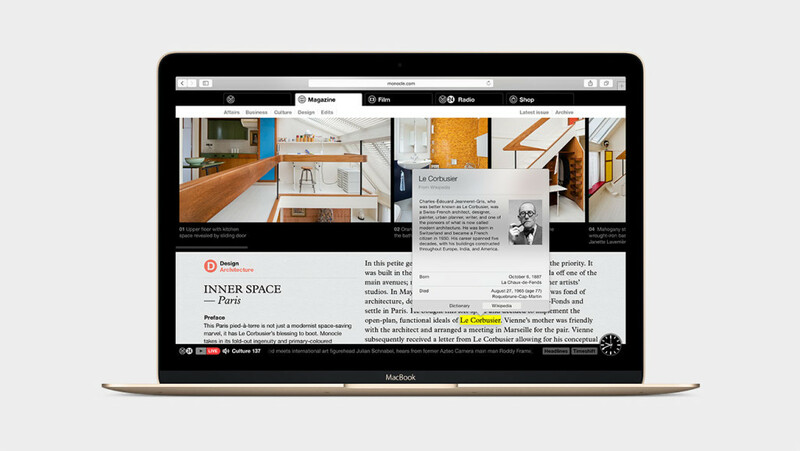 The harder you press on the trackpad, the faster you can fast-forward through a QuickTime movie. Apple did a way with the fan entirely, making The New MacBook the first fanless MacBook yet—meaning it runs in absolute silence. Its Intel Core M Processor runs on only 5 Watts. 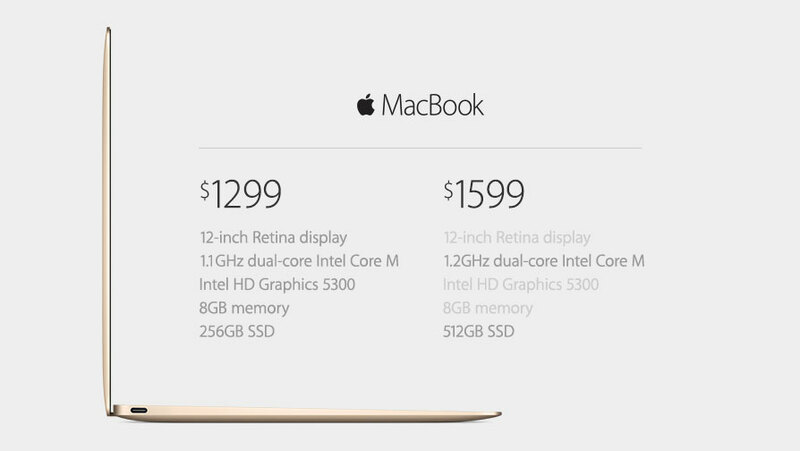 And if none of that was enough, its logic board is 67% smaller than that of the 11″ MacBook Air. Apple engineered The New MacBook’s battery using a terraced approach, to squeeze as much space out of the enclosure as possible. This allows it to run for up to 9 hours of web browsing, or 10 hours of iTunes movie playback, and the EPA is calling it the world’s most energy-efficient notebook. Because of its thinness, apple did away with the traditional ports, and replaced them with a single USB Type-C connector. It will not be compatible with full-sized USB accessories, like the flash drives you have laying around at home. It also means you won’t be able to charge your MacBook and use a USB device at the same time, unless you get an accessory. VGA and HDMI adapters are sold separately, at $79 a pop. If you only need to use a flash drive or standard USB device, like a flash drive or even Apple’s lightning cable to charge your iOS Device through your new MacBook, you’ll have to buy a $19 USB Type-C to USB adapter. If you need ethernet connectivity, you’re going to need another. If you want to keep a charger in the office and one at home, they go for $49 for the power-block and $29 for the 2-meter extension cable, sold separately (did you expect anything else from Apple?). 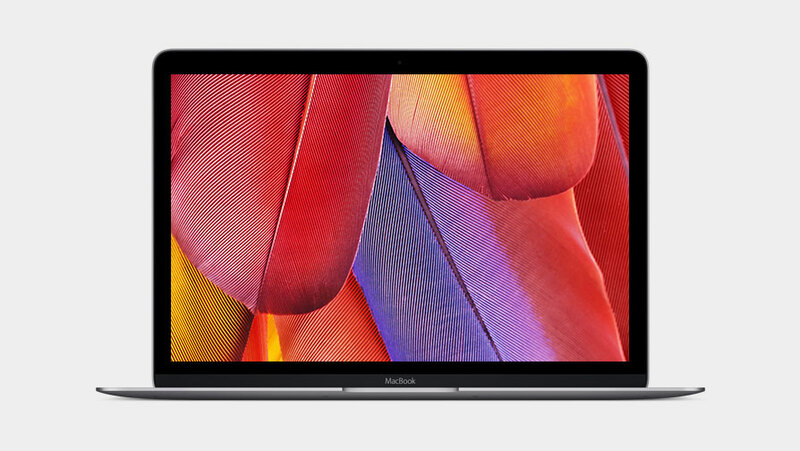 The New MacBook begins shipping April 10th, 2015.